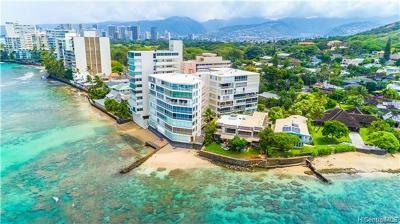 Constructed in 1958, this property is located at 2801 Coconut Avenue, in a quiet location at the base of Diamond Head. Kainalu is a fee simple co-op with studios and 2-bedroom units in floorplans ranging from 585 square feet up to 1,162 square feet. 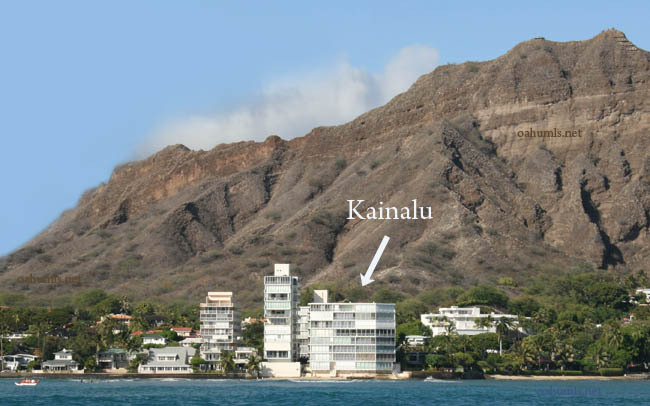 Kainalu is eight stories tall with 59 residences and two elevators. With sandy beach frontage, residents can walk out and take a dip at their leisure. 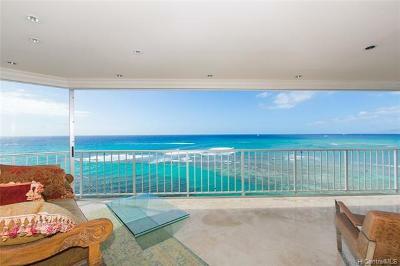 Kainalu's higher priced units have direct ocean views. Less expensive units do not have ocean views, but it takes about three minutes to take the elevator downstairs and walk onto the beach. Monthly maintenance fees cover electricity, basic cable tv, water, and sewer. Amenities at Kainalu include additional storage and trash chutes.